The LED High Bay that is more than a design statement. 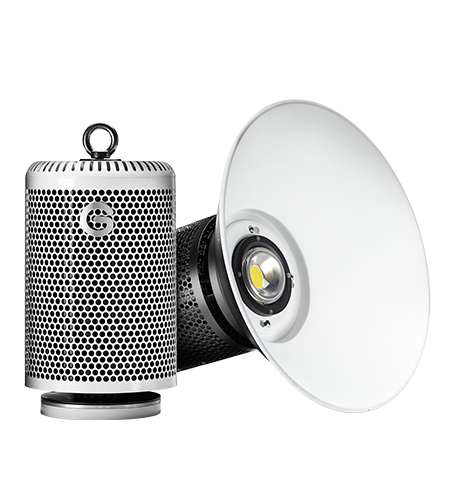 The Goodlight™ GX1 Plus is a 150W LED High Bay (pendant-style) that delivers an incredible 135Lm/W efficiency. It replaces conventional SON and metal halide high bay fixtures, providing optimum light output, reliability, efficiency and up to 80% in energy savings. The GX1 Plus is protected to IP65 (waterproof) and is a dimmable LED High Bay suitable for installing into applications from 10m and above – perfect for illuminating large areas including warehouses, factories, production plants, industrial, storage and retail environments. Suitable for use in extreme temperatures. 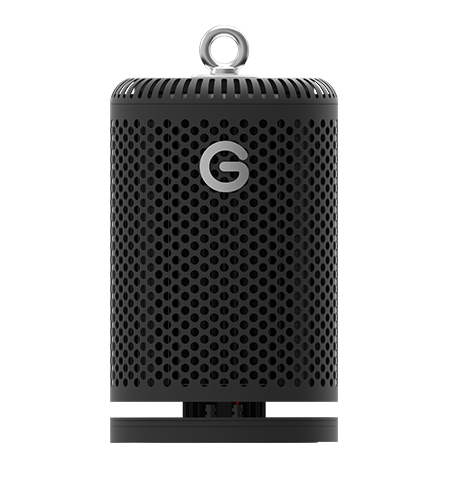 The GX1 Plus utilises BK7 optics to distribute the light beam exactly where it is required, the ‘reflectorless’ design makes this uniquely suitable for both front and back of house environments. 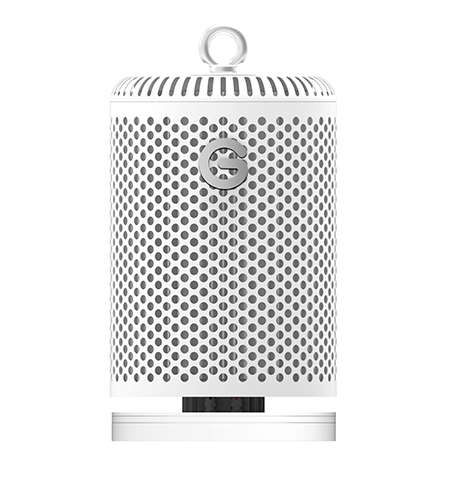 Featuring a patented ‘phase-change’ liquid core, our unique cooling system tackles heat effortlessly, maintaining more lumens out of the super-bright LED chips, for longer. When the GX1 Plus is switched on, the heat generated by the LEDs turns the liquid inside the tubes into vapour. The vapour begins moving along the tubes due to the difference in pressure. As soon as the vapour reaches a cool area of the tube, it condenses back into liquid. Heat energy is dissipated evenly through a series of aluminium fins. The GX1’s copper core draws liquid back towards the LEDs via capillary action, and the cycle begins again. With a replaceable driver and optional plug-and-play LED chip, the GX1 Plus is future-proof, giving users upgrade options at end of life. 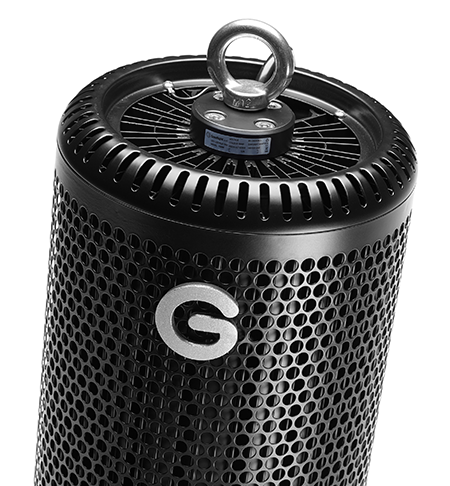 The Goodlight™ GX1 Plus LED High Bay is compatible with Light Boss™ Wireless Lighting Control. Light Boss™ puts an intuitive lighting system at the heart of your building’s operation. Automate your lighting triggered by occupancy, daylight or user preference. 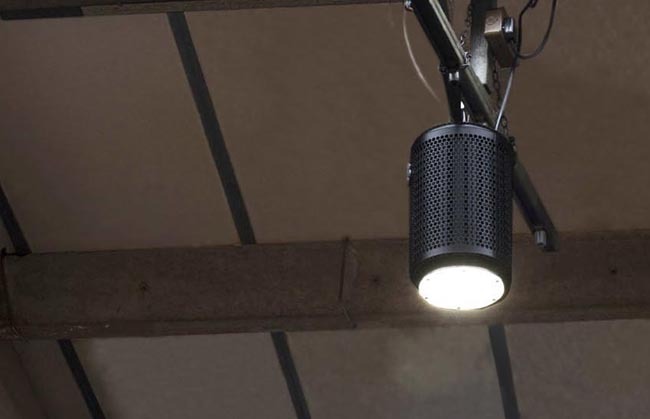 Light Boss™ dims down your lighting when no one is around, or when it detects natural light, and turns back on again when it is needed, for the ultimate energy efficient lighting control. Suitable for new builds and retrofits. Light Boss™ provides ‘live’ reporting on the energy consumption of all connected lighting fixtures, allowing energy management via a single dashboard – an ideal tool for complete energy performance of single or multi-site estates. 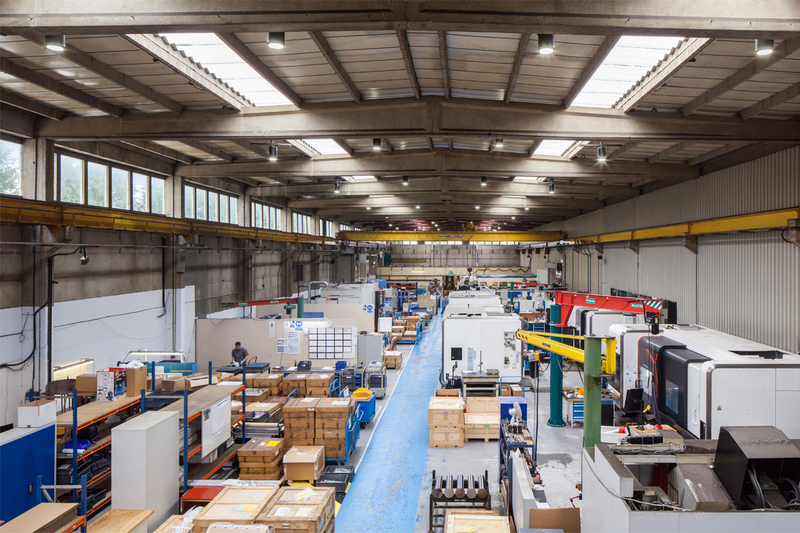 Operate your lighting where it is needed, rather than at 100% continually, allowing you to minimise energy consumption by up to 95%, extend lighting lifecycles and lower maintenance costs. Payback from as little as 1.5 years. 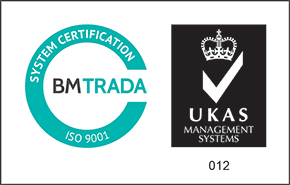 Other features include; Energy Monitoring, Emergency Light Testing, Daylight Monitoring, Service Plus, LED Fault Monitoring, Group and Scene Setting and Circadian Lighting. Suitable for offices, warehouses, retail, leisure, car parks, education, healthcare, amenity, logistics and transportation. To integrate Light Boss™, simply choose your GX1 Plus LED High Bay(s) from the options above and select ‘Yes’ next to ‘Wireless Lighting Control’ to submit your quote request.